Eliot Lee Hazel/RCA RecordsChris Brown has obviously had a violent past, and now it appears he’s admitting it, or maybe having fun with his reputation. 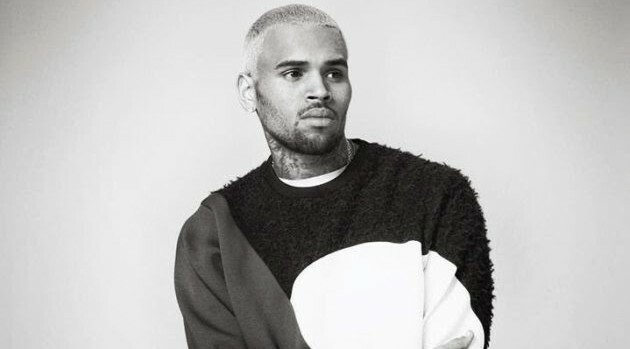 Breezy posted a cartoon caricature of himself on Instagram — a mug shot with the words “Chris Brown…Violent…Police Department.” Perhaps this is his response to having his probation being revoked for leaving Los Angeles County to perform in San Jose, California without court permission. Brown also has his tender moments, as he displays in his new “Autumn Leaves” video in which he portrays a samurai warrior in love with a woman played by his real life girlfriend, Karrueche Tran. The singer is now preparing for his Between the Sheets tour with Trey Songz and Tyga which kicks off January 27 in Hampton, Virginia.